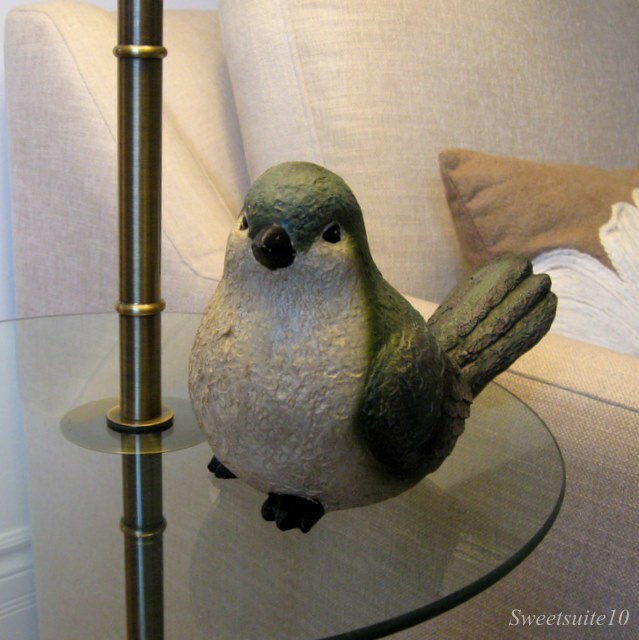 Sometime last year I was browsing one of my favorite blogs -'The Art of Doing Stuff', when I came across a post where Karen took an inexpensive dollar store ceramic bird and transformed it with a quick spray of paint. I decided right then an there that I was going to do the same if I was ever so lucky to come across a ceramic dollar store bird of my own. Imitation is the sincerest form of flattery right? copyemulate Karen's idea. By the time my brain kicked in, all my local Dollaramas were completely sold out of birds, and I had to Google the store to find some locations in the far reaches of suburbia. Okay - it wasn't that bad - I just had to travel about 30 minutes by bus. That store had one version of the bird left so I scooped him up, and brought him home where he resided wrapped in tissue paper for months. (I need to work on my idea/plan execution - this isn't the only project that's languished as I twiddled my thumbs - but that's a different blog post). Anyways, after my successful first two forays (one, two) into the magical world of spray paint I decided to unearth the bird for his transformation. Three coats of spray paint later, and a little white felt on the bottom and he's been transformed. What do you think? 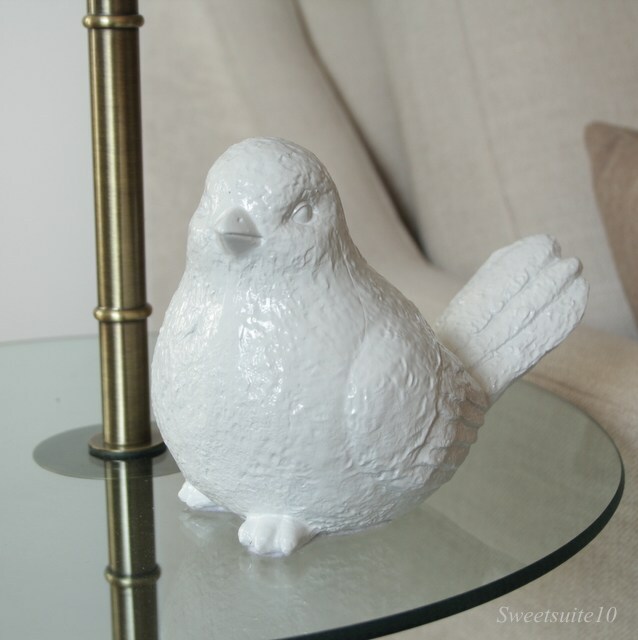 As I already had the white spray paint and felt from my bookend project, this little bird project cost a whopping $2.26 (Incl. taxes). Pretty good right? My bird wasn't as cheap (cheep - Ha!) as Karen's, but I blame that entirely on Dollarama switching from the everything for $1 pricing model, to a few things for a $1, and most at $2. I LOVE that bird now. My mind doesn't go straight to spray paint when I see ceramic animals at the dollar store, but I hope it does now! I could use some pretty little birds on bookcases. i like the before, it's to white for me and i love the color green.